Several months ago our old friend Kevin from Flickr asked us if we would contribute to his new Ebook‘s chapter on Textures, naturally we were delighted as Kevin is now coincided to be one of the worlds best photographic still life artists with his complex multi layered historic story telling! 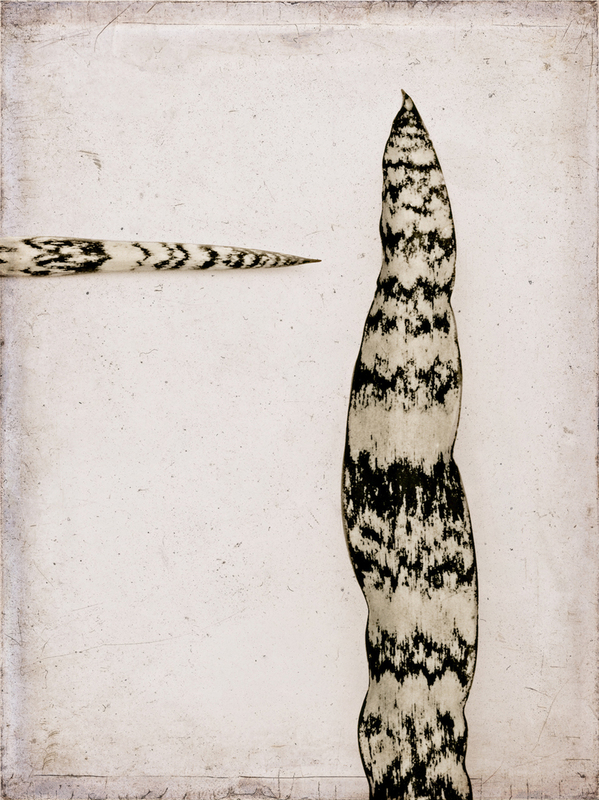 We supplied one textured image each from his small collection of stills, here’s mine, a simple image of Mother in Laws tongue, I was so delighted it made it into the book that I’d like to show the before and after here and the simple recipe, just using the classic Flypaper Edges. This book is informal and chatty, in a professional magazine style format full of ideas for your own still life set-ups and lighting tips. He generously provides us with many of his own shooting technique secrets, and his photographic history is right on the button, this book would have been invaluable to me at college whilst studying the history of photography as its not written in the usual stuffy prose of most educational books, so you learn without being bored to sleep! Its lavishly colour illustrated with his own photography throughout and the balance is maintained without the padding some of these kinds of books use. Even if we didn’t know Kevin I’d still recommend this book to all, beginner or profesional photographer who want to take their still life photography to the highest level! For this recipe in Kevin’s Ebook, go to page 141 and click his four scrolling images to see before, after and the two flypaper Edges textures that we used to create this convincing antique plate effect! Kevin’s fabulous ‘Still Life Photography‘ book is available on both Amazon and Ibooks, and is well worth the few dollars download! Edge II – number 17 Multiply @ 80% brush away texture from leaves. This entry was posted on Tuesday, October 9th, 2012 at 9:49 am. It is filed under Blog, News and tagged with book, Ebook, Fly Edges, grunge, Kevin Best, Still Life Photography, © Kevin Best original image all rights reseved 2012. You can follow any responses to this entry through the RSS 2.0 feed.